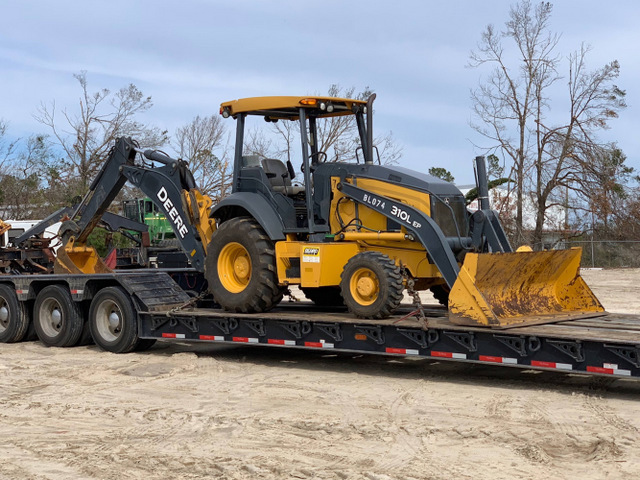 Following the devastation of Hurricane Michael, Beard Equipment and John Deere donated the use of a John Deere backhoe to four local counties and municipalities in the Florida Panhandle. The cities of Lynn Haven, Callaway, and Mexico Beach and Jackson County experienced serious damage as a result of the hurricane, which made landfall in the area as a Category 4 storm and caused the destruction of buildings and limited access to power, water and roadways. 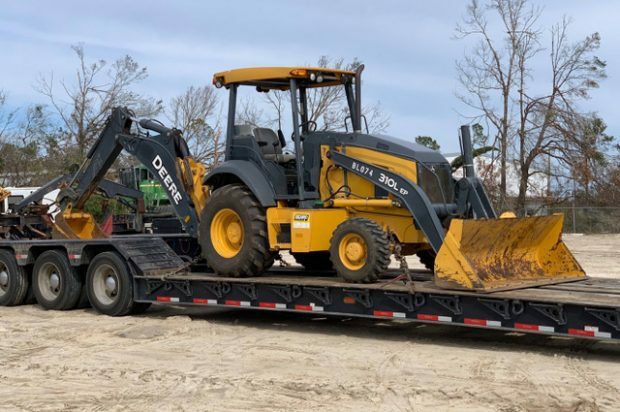 In an effort to ease the recovery process, Lynn Haven, Callaway and Mexico Beach received a 310L backhoe and Jackson County received a 310SL free of charge for six months. 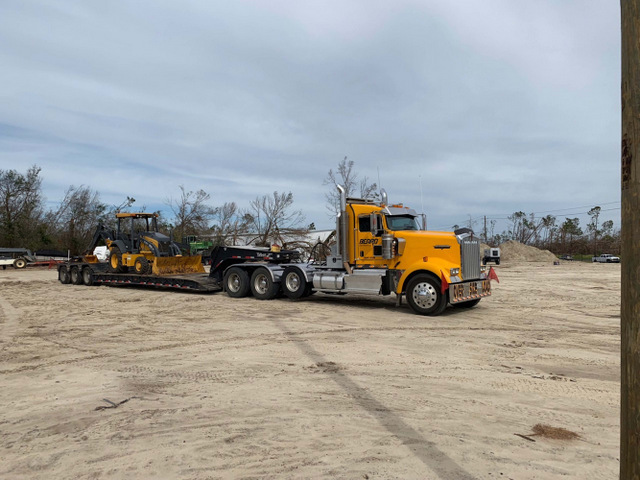 As the areas recover, the donation will give workers the equipment they need to remove trees, repair waterlines, and get resources back online. The free rental is part of the John Deere Enterprise Disaster Support Program that offers financial support for Deere equipment dealers in the form of rental subsidies, depreciation compensation, demonstration discounts or similar funding, allowing dealers to provide equipment for use in disaster support and recovery areas in their local communities. In addition to the support from John Deere, the rental donation was made possible due to the backing of the John Deere dealer network. Understanding the crisis in Florida and southern Georgia, dealers came together, giving up machine orders for the greater good. For more info on John Deere, click this link. We promise quality content.